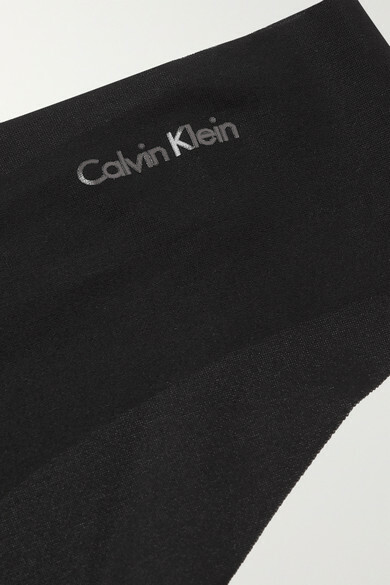 Calvin Klein Underwear's aptly named 'Invisibles' set of two thongs has a seamless construction, so you can wear them comfortably under jeans and tailored pants. They're cut from black stretch-jersey in a flattering mid-rise shape and detailed simply with the brand's logo along the waistband. Wear yours with the coordinating bra. Wear it with: Loren Stewart Necklace, STONE AND STRAND Ring.